Storm Chaser - that is the name of Scott Bell’s truck, and it’s well known. He takes great pride in keeping his truck in tip top shape. Could this be because Scott wanted to be a truck driver since he was little, because of the values he learned in the Army, or because of the example he wants to set for other truckers and veterans? Probably all of these reasons! As a 3rd generation Army soldier, Scott served his country in the Middle East, and believes “Be All You Can Be” with all this heart. He’s honored to represent all veterans, and frequently talks with young people about the military as a career and the opportunities that are available to them. 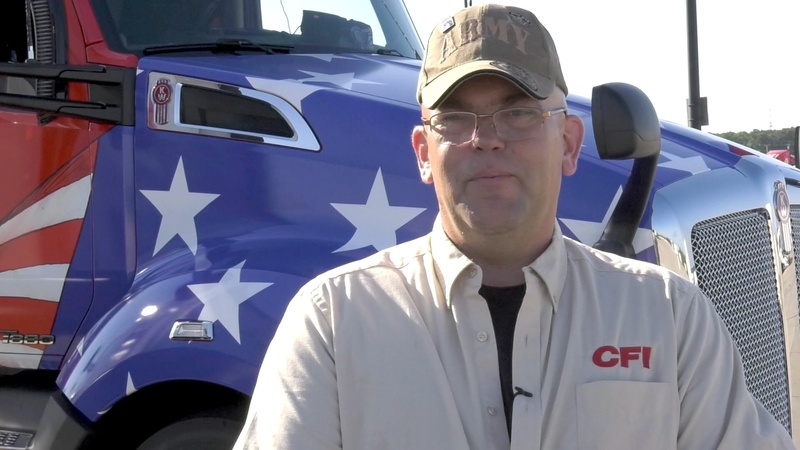 Scott said to us “I believe in Duty, Honor and Country, and I am eager to have the opportunity to drive the Army truck for CFI.” And to Scott, we say, we are honored to have you as part of the CFI family, and will be proud to have you drive a True to the Troops truck, representing CFI and honoring veterans out on the road.